The Australian Securities Exchange (ASX) has revealed it is going ahead with the decision to replace its existing Clearing House Electronic Subregister System (CHESS) computer system, which is used to manage share transaction settlements, in favour of blockchain-inspired distributed ledger technology (DLT). In February, the ASX revealed it was on track to make a decision on whether DLT would be a suitable replacement for CHESS, which provides clearing, settlement and asset registration services. CHESS was originally rolled out in 1994. ASX and its technology partner, Digital Asset, have spent the past two years extensively testing the functionality, capacity, security and resilience capabilities in order to meet the needs of the financial marketplace on top of achieving the highest regulatory and operational standards. Digital Asset successfully built the enterprise-grade DLT software for core equity clearing and settlement functions. According to the ASX, the testing also involved two independent third party security reviews and was conducted in parallel with a stakeholder consultation program including a briefing of regulators, in order for the ASX to completely grasp what the market wants in a CHESS replacement. 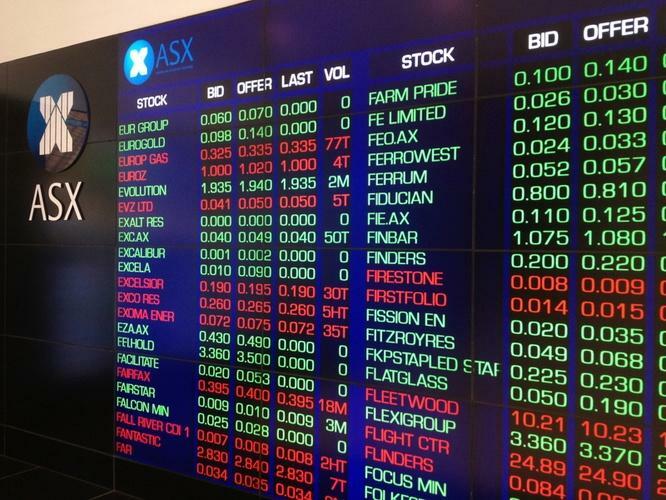 The go-live date on the new system is yet to be finalised, but the ASX said it will continue to draw on extensive consultation, and the proposed timing for transitioning to the new system will be released at the end of March. The new system will be operated by ASX on a secure private network where participants are known, 'permissioned' to have access, and must comply with obligations. It will also give customers a choice on how to use its post-trade services. ASX managing director and CEO, Dominic Stevens, said it had been carefully examining DLT for almost two-and-a-half years to understand its potential. Digital Asset CEO, Blythe Masters, highlighted that today’s announcement delivers the first meaningful proof that DLT can live up to its potential. On top of this, ASX will exercise its pro-rata right to participate in DA’s recent Series B fundraising and subscribe for US$3.5 million convertible notes. The two companies will also work exclusively on DLT in Australia and New Zealand. In a statement, Treasurer, Scott Morrison, said the development puts Australia at the forefront of digital innovation in financial markets and will strengthen the financial system through greater efficiencies. “FinTech in Australia is on the march, having doubled in size since 2015, according to the recent EY Fintech Census. Developing this sector will drive a stronger economy and a more competitive market for consumers,” Morrison said.